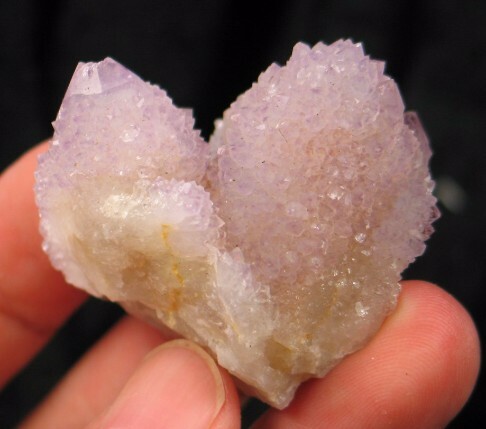 Spirit quartz has such amazing energy similar to elestials, but packs more of an energetic punch. The pieces just sparkle with such vitality, no matter the size of the piece. Their energy is never “too much” it is always just right. These crystals are such powerhouses, due to the “coat” created by the dozens of glittering points around the main crystal. They create movement of energy as they both send and receive energy like a double terminated crystal, just increase many fold! They are multi-faceted healers and teachers. 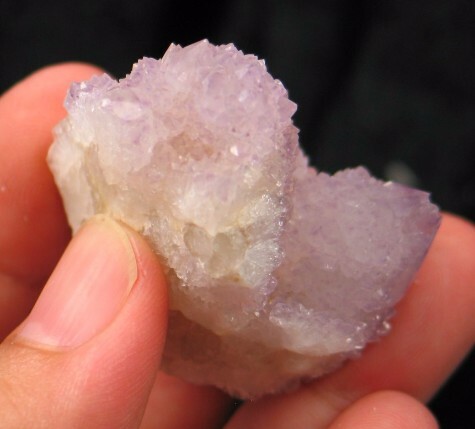 Spirit quartz is not a common find as it once one, especially any with an amethyst hue. 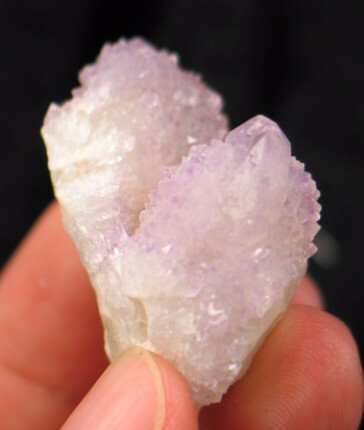 Spirit quartz is perfect for any area that needs energy movement, or for grids or body layouts to move stagnant energy. Amethyst is the purple cousin of the quartz family, and many people are first attracted to the world of crystals and minerals by its beautiful colors. It owes its coloration to minute traces of iron creating hues of light lavender to intense violet purple. Amethyst has been used for centuries for its healing properties; in fact it owes its name to the Greek amethustos which means “not drunken”. Amethyst is said to have been named for its close color to wine and was believed to prevent drunkenness. Amethyst provides a gentle awakening of the crown and third eye chakras. It assists you through the dizzying world of new perceptions of the world around you. 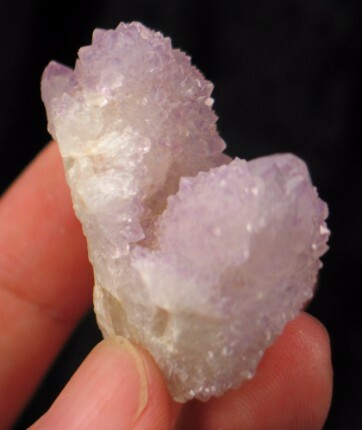 Amethyst brings serenity and calm, enhances your ability to assimilate new ideas, and assists during meditation. It is also said to give strength and mental stability, and provides balance between one's physical, emotional, intellectual states. 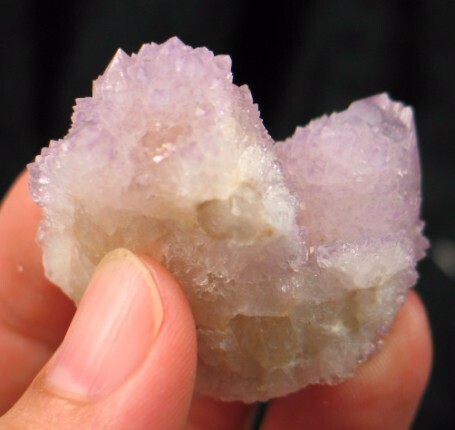 Amethyst is also said to make one shrewd in business matters. 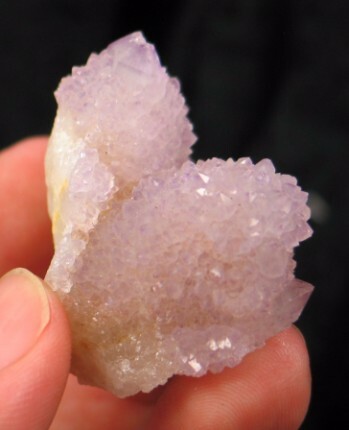 Amethyst is said to help remove toxins from the body and to help treat arthritis. It also said to be useful in treating a number of disorders including those of the digestive system, heart, nervous system, skin and hearing and to help provide relief from pain and to strengthen the immune system. Amethyst may be used to remove radiation the body stores on the sides of the head...such as from computers, microwaves, cell phones, etc. Geodes of Amethyst are particularly good for this, just place the head next to it; you will then feel the radiation being drawn out. Place small pieces of amethyst on the 3rd eye and visualize yourself breathing in the color for total mental and emotional soothing. It's a very good technique to do in bed before going to sleep. It is an amazing all round healer and also a brilliant meditation crystal. 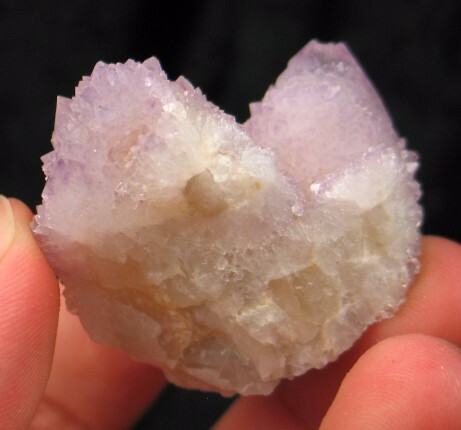 Amethyst can be used for massage in wand, egg or sphere form. It makes a great elixir.